When a girl is gruesomely murdered, thief taker Charlie Tuesday reluctantly agrees to take on the case. But the horrific remains tell him this is no isolated death. The killer’s mad appetites are part of a master plan that could destroy London – and reveal the dark secrets of Charlie’s own past. Now the thief taker must find this murderous mastermind before the plague obliterates the evidence street by street. 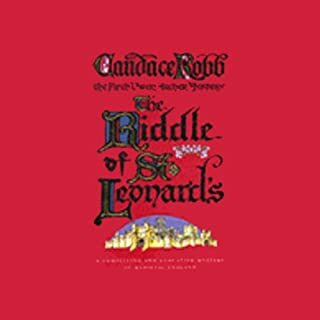 This terrifying pursuit will take Charlie deep into the black underbelly of old London, where alchemy, witchcraft and blood-spells collide. In a city drowned in darkness, death could be the most powerful magic of all. Henry VIII has proclaimed himself Supreme Head of the Church, and the country is waking up to savage new laws. Under the order of Thomas Cromwell, a team of commissioners is sent to investigate the monasteries. At the monastery of Scarnsea, events have spiralled out of control. Cromwell's commissioner, Robin Singleton, has been found dead. 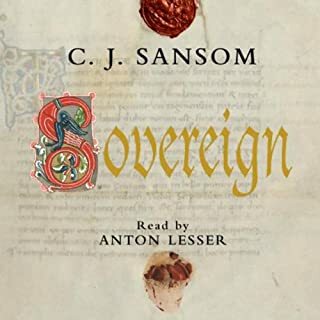 And Matthew Shardlake, lawyer and long-time supporter of reform, has been sent by Cromwell into an atmosphere of treachery and death to investigate. The year is 1367, and the people of York are suffering. Not only has the harvest failed, but the plague has returned. In the midst of this, scandal threatens St Leonard's Hospital, which is struggling to stay solvent and has suffered thefts. The deaths of several of its aged residents seems timely, for their care has long exceeded the sums they bequeathed. Rumours start to fly that their deaths were no accident. It is 1540 and the hottest summer of the 16th century. Matthew Shardlake, believing himself out of favour with Thomas Cromwell, is busy trying to maintain his legal practice and keep a low profile. 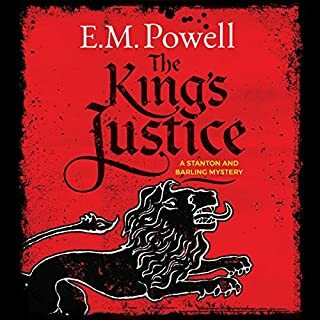 But his involvement with a murder case, defending a girl accused of brutally murdering her young cousin, brings him once again into contact with the king's chief minister - and a new assignment. Autumn, 1541. Following the uncovering of a plot against his throne in Yorkshire, King Henry VIII has set out on a spectacular Progress to the North to overawe his rebellious subjects there. Already in York are lawyer Matthew Shardlake and his assistant, Jack Barak. 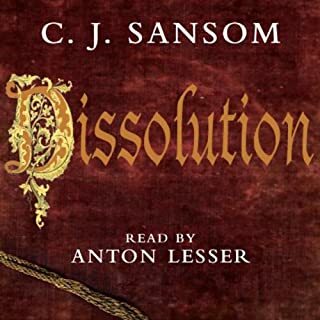 Shardlake has reluctantly undertaken a special mission: to ensure the welfare of a dangerous conspirator being returned to London for interrogation. But the murder of a local glazier involves Shardlake in deeper mysteries. Matthew Bartholomew, unorthodox but effective physician to Michaelhouse college in medieval Cambridge, is as worried as anyone about the pestilence that is ravaging Europe and seems to be approaching England. But he is distracted by the sudden and inexplicable death of the Master of Michaelhouse - a death the University authorities do not want investigated. But Matt is determined to get to the truth, leading him into a tangle of lies and intrigue that cause him to question the innocence of his closest friends - and even his family - just as the Black Death finally arrives. 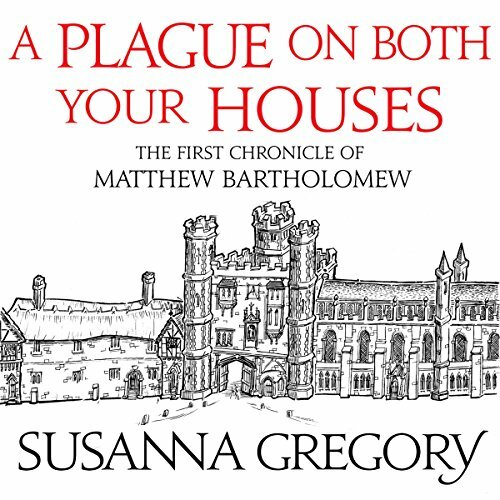 A Plague on Both Your Houses is the book that introduced Matthew Bartholomew to the world. A good story to listen to knowing there are more to follow in the series. 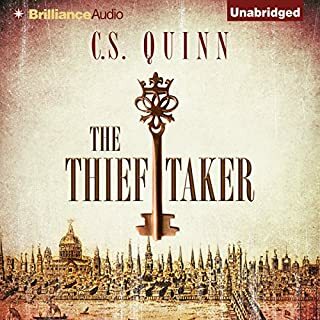 Love that audible has every book in this series. David Thrope does a great job bringing all the wonderful characters to life. I had read a Bartholomew novel from later in the series, so decided to read this one. I assume the author learned a lot about writing mysteries between this one and the later one. The mystery was boring; the characters very superficial, and the plague episodes were more of an interference than interesting. I fault the director or producer. I noticed at least 3 instances when the wrong word was said, but it wasn't caught. 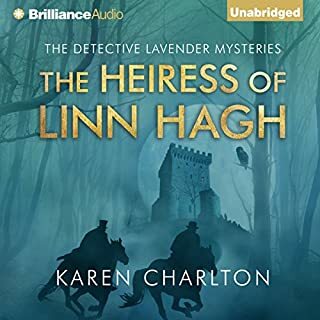 Have always loved the books, now I love the audio! Will definitely binge the rest! The main character in this book is a doctor who has to deal with a huge number of corpses over the course of the the story. Some are murder victims and some died from bubonic plague. Sometimes they are fresh and other times they have been rotting for days. The descriptions were really offensive, but what was much worse is that the author has him handling the corpses and then wiping his face with his hands. And sometimes he puts his unwashed hands on other people's faces. I am not making this up. Really I couldn't listen to the entire sordid story and I am sorry if this language offends anyone, but better you know what you are getting before you decide to try this one on. What three words best describe David Thorpe’s voice? A little on the irritating side when acting the character voices. Was A Plague on Both Your Houses worth the listening time? I'm so surprised that this book has had so many negative reviews. The story was complex and gripping (I listened to it over a weekend) and the narration was superb, IMHO. The different voices for each character were great, especially Michael, and the twists and turns of the plot kept me enthralled. Fantastic stuff. I was desperate to finish some weeding in the garden, so persisted longer with this book than I might've otherwise. Had I been driving, I would have slept, so a safety warning here! Some whodunnits are just plain dull and formulaic. Despite the historical setting, the use of disgusting period detail and the nature of the college rule books at the time, this is one of those. Part of the problem is the cardboard characters. They don't live and this is one of those dreary potboiler books in an endless series. Trouble is, the first book in such a series has to hook the reader to keep them reading. This fails, but at least I won't waste any more dosh on the rest of them! The narrator does his best and gives a creditable performance of this dismal material. If you want a truly ripping yarn set in the time of the Black Death and full of excellent characters and atmospheric historical detail, I suggest Connie Willis' novel 'The Doomesday Book'. 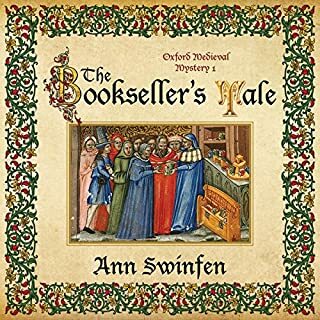 Dunno whether her stuff is on Audible yet, but it should be! A great but complicated story. 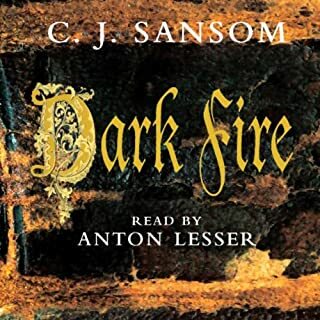 It was my first audible book and I became hooked. However, at first I found it very difficult to sort out all the characters - when reading I can constantly flip back to check - not so easy when listening hands free. But just how many thousands of times does the name Bartholomew occur?!! 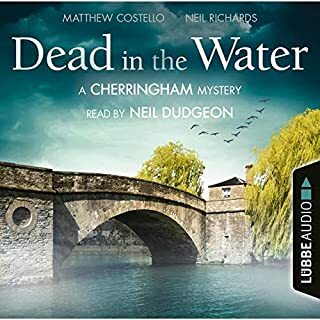 I like Susanna Gregory's writing but the first couple of Mathew Bartholomew book suffer from weak characterisation and a poor narrator and the combination of the two is unfortunate. The good news is that the later books do improve and the narrater becomes slightly more bearable and are worth a credit but this, alas, isn't and I will be returning it. What was most disappointing about Susanna Gregory’s story? 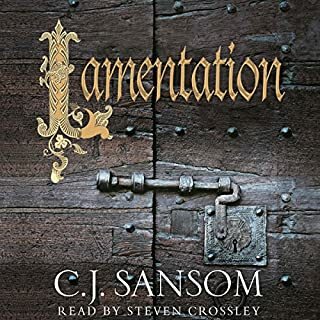 Having read all of Gregory's books the earlier books are definitely the weakest in the series, with poorly sketched characters, unrealistic dialogues and although the historical detail is interesting it isn't enough to keep the reader/listener engaged. As I have said above, the later books do get a lot better but this one, particularly with the terrible narration, is one to avoid. Would you be willing to try another one of David Thorpe’s performances? Unfortunately Thorpe is the assigned reader for the Bartholomew books so I can only hope he, or the publisher, take notice of listeners comments and change/adapt his narration because, honestly, I can't bear to hear some of his interpretations of the monks and in particular Michael. In answer to the questionable, seeing Thorpe's name on an audio book would put me off. If you could play editor, what scene or scenes would you have cut from A Plague on Both Your Houses? Not really applicable - it was the first book written a long time ago and Gregory's writing has got better with time, so just take this as an early attempt, not really worth a credit unless you are want to hear how it all started or you are prepared to return it if you don't like it. 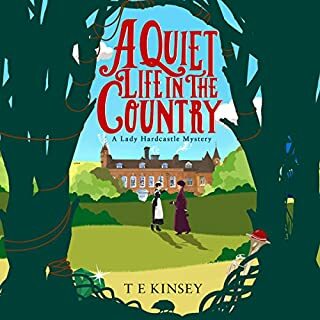 A different narrator would have made all the difference but we have what we have and it is good that the whole back catalogue is been made available. Just couldn't get into it. I've read the whole series and I wish I'd not listened to this. The characters just weren't as I imagined them. The narrator didn't do them justice. Brother Michael was just lost..really disappointing ..
Would you be willing to try another book from Susanna Gregory? Why or why not? I've read them all so far but I've returned the ones I had lined up to listen to. Just couldn't get into the first one. Maybe another narrator and I might try again. What three words best describe David Thorpe’s performance? Poor, unrealistic, monotonous. Sadly not my cup of tea. First time I've heard him and he just doesn't do the book justice. Didn't hold my attention. i would probably as I really liked the hardbacks. Couldn't Finish This Book. Don't waste your money! Would you try another book written by Susanna Gregory or narrated by David Thorpe? 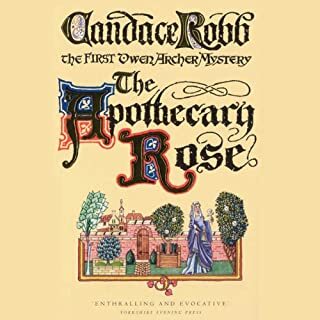 Has A Plague on Both Your Houses put you off other books in this genre? I couldn't finish this book so difficult to comment, but the genre is one I usually enjoy, so probably not. I thought having read numerous positive reviews on this series of books that I would enjoy it but it was ruined by the atrocious narration. Definitely Not. It wasn't read as smooth prose as books should, but as a list of separate sentences with long pauses between them. It therefore did not keep my interest & I was unable to get past the first few chapters. I tried a number of times to get into the story but couldn't. Going to request a credit refund. Doesn't Audible have a quality check in place to prevent books being ruined by the narrator.? An author invests time & effort into writing interesting books but then their work is totally spoilt by a rubbish narrator. Good narration is vital when listening to a book so I am surprised that this is allowed to happen. I couldn't stop listening to this story, wanting to know what was going to happen next. Absolutely brilliant. Narrator was excellent, giving personalities to the different characters. Looking forward to book number two.